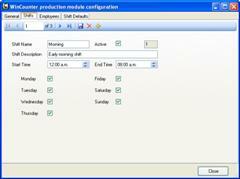 WinCounter can be installed in a production-line scenario and used to measure productivity. We supply an add-on called the WinCounter Production Module to achieve this. The production module uses sensors or switches that record completed units from a production line. 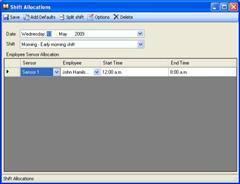 Shift times and employee information is entered into the system so that each production line can be assigned to an employee for a specified shift. You can use the WinCounter reporting module to produce reports that show productivity for shifts and employees. Please contact us for more information about this module.